Nintendo Gamecube and Wii emulator Dolphin has made some big progress in the past few months. So big, in fact, that Wes Fenlon saw fit to write a cool feature article over at PC Gamer on the massive performance boosts brought on by Fiora Aeterna's contributions. The Dolphin team put together its own progress reports to highlight the gains, and also the new features and bug fixes. They've got posts up on August, September, and October. If you've been holding out on Dolphin for any reason, now's the time to dive in. New development builds are flying out of the compiler. While I'm sending you off to read interesting articles about emulation, I might as well throw in David "Haze" Haywood's blog, which always picks out notable changes and discoveries in MAME and MESS development (or UME, if you're running it through Wine or virtualisation) — both in terms of emulation and hardware preservation. Speaking of MAME and MESS, they're now at version 0.155. As always, the list of changes is huge for MAME and slightly less-huge for MESS. Would-be contributors and those of you who compile from source note that the code repository is now on GitHub. For everyone else, the OS X SDL ports are still available here. And if you want a proper frontend and launcher, QMC2 is all synced up with the latest builds. As is MAME Launcher. CodeWeavers has released version 14.0.0 (since updated to 14.0.1) of its commercial Wine-based Windows application/game wrapper tool CrossOver. Besides Yosemite compatibility, this release overhauls the user interface — with shortcuts in the dock and the CrossOver app for individual Windows apps drawing particular attention in the announcement. There are new supported apps as well, including Terraria, Euro Truck Simulator 2, Cube World, and Path of Exile. Continue reading for more emulator updates, including back-from-the-dead JOYCE and double updates to Stella and VirtualBox, among others. PlayStation Portable emulator PPSSPP has been updated to version 0.9.9.1. This fixes a few issues discovered in the 0.9.9 release, which added support for the mp3 and aac codecs and PMP video format, fixed a number of graphical issues by adding CLUT/paletted texturing from framebuffers, improved vrot CPU instruction emulation, and much more. Mac builds are still not officially supported, and the angelXwind site that normally hosts unofficial builds seems to be down, but PPSSPP forum-goer slavezeo put together a script that can be used to compile the emulator with only a little modification. Nintendo Wii and Gamecube emulator Dolphin apparently received hundreds of code optimisations in July, resulting in big performance improvements, fixes to long-standing bugs, and even a few new features. Read the typically-fascinating Progress Report for a rundown of the most notable changes. They've also got a review up on the Dolphin blog for the Mayflash DolphinBar, which is a USB sensor bar designed to work with Dolphin and as a mouse replacement. If you're after new builds, there's a steady flow of automated development versions appearing every day. It's been a long time coming, but ScummVM 1.7.0 was released in July. Five new games are supported, including 1996 claymation The Neverhood. Changes include "many" improvements to the UI, an OpenGL backend and enhanced AGOS engine, and updated MT-32 emulation. You can read a full breakdown of the changes in the release notes. Get it from the ScummVM download page. Continue reading for more updates, including GBA on Bizhawk, loads of FS-UAE development builds, new Hatari, and more. Sixtyforce lives! After many years of development and a trickle of releases, Gerrit Goossen's Nintendo 64 emulator has hit the big 1.0 milestone. Additions include improved controller configuration and support, a new timing mode, new low-level graphics processing, and more, while there are also a bunch of bugfixes. See the release notes for full details. And remember to pay for a licence if you'd like to see better Nintendo 64 emulation on the Mac. Nintendo Wii and Gamecube emulator Dolphin has shed its 32-bit support — although that shouldn't have much of an impact on us Mac users. Development highlights from May include a wide-reaching fix for indirect texture coordinate computation, fixed external frame buffer width/height handling, improved DVD seek timing, and a change to frsqrte and fres calculations (they were too precise) that fixes scores of problems. The latest dev build at the time of writing is 4.0-1859, with the most recent stable release dating back to 4.0.2 from the start of the year. 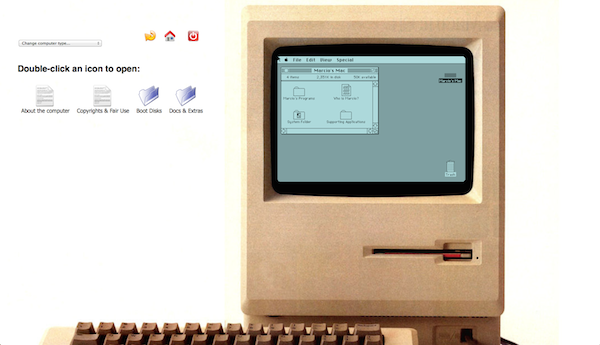 Macintosh II A/UX emulator Shoebill has been updated to version 0.0.3. This release adds support for PRAM and full-screen mode, plus you can now restart/shutdown the virtual machine without it crashing, and Shoebill uses less CPU when A/UX's scheduler idles. Get it from the Shoebill GitHub page, and follow the discussion on E-Maculation. Game Boy emulator DMGBoy got a major update in May. Version 2.0 adds Game Boy Color compatibility and a GUI debugger, as well as a nifty 3D model of the original Game Boy that you can play your games on (see video below). You can also now resize the window in real time, with no change in aspect ratio. On my Mac it was throwing up wxWidgets errors on run, but it seems to work just fine if you suppress these. Get it from the DMGBoy Google Code page. Continue reading for more a series of minor emulator updates, including new Mednafen, Bizhawk, and Bochs builds. Arcade emulator MAME has been updated to version 0.153. This release brings big changes under the hood, with major revisions made to modernise the core, user interface, OSD layers, drivers, and devices. Be sure to read through the What’s New document for a detailed rundown if you’re at all interested in the project and/or its goals. As always, you can get more general information and source code from the MAMEDev website, and there’s a Mac-specific binary on the SDLMAME site. Multiple system emulator MESS has also been bumped up to version 0.153, with the most notable additions being support for 1979 console Bandai Super Vision 8000, the UK Apple IIe models, Serbian computer Pecom 32, and two systems I’ve never heard of: the Samsung Gam*Boy I and AIWA MegaCD CSD-GIM. See here for the full list of changes, and here for 32-bit and 64-bit SDLMESS binaries. 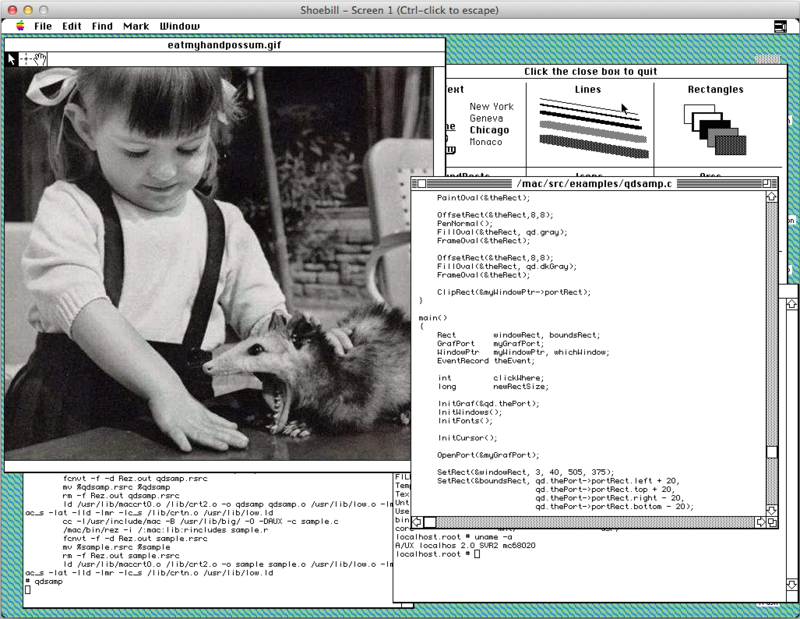 Macintosh II A/UX emulator Shoebill is making great progress. Developer Peter Rutenbar is reporting that A/UX 3.0.0 now runs, although there are still some issues. 0.0.2 boasts modest speed improvements and bug fixes, and it removes the need to supply your own kernel. You can download it or grab the latest source code at GitHub. Keep an eye on the E-Maculation Shoebill thread if you're interested in the project. Next up will be A/UX 3.0.1 support (maybe). Recommended reading this month comes in the form of an article on the challenges of pixel-perfect Gamecube and Wii emulation, with specific examples of how Dolphin has tackled these in the past and present. Continue reading for more emulator updates, including 8086tiny, PPSSPP, QEMU, openMSX, FS-UAE, and more, plus a helpful app for opening OS X archives in Mini vMac. My apologies on another late roundup. I’ve been busy. It was worth the wait, though, as we’ve got a huge one this time round, including a few new emulators. Shoebill isn’t the only new emulator for us to play with; 8086tiny holds claim to the title of “the world’s smallest portable, highly-functional PC emulator.” True or not, at 28K (with comments) the source code is at least tiny. It emulates an 8086 CPU plus all standard PC peripherals, and its disk images should mount out of the box in OS X. I haven’t had a chance to test it myself yet, but this looks like a great choice for running DOS or early versions of Windows. You can learn more about 8086tiny and download the source code from its official website. Multi-system emulator BizHawk has been updated to version 1.6.0. This release adds Sega Genesis and CD support and OpenGL video output, and it also fixes some issues with stability, audio throttling, and opening NES games. Check out Sappharad’s forum thread for more details and a download link. Continue reading for more updates, including a full complement of Mac-on-Mac news, a new way to play a classic, progress on a NeXT emulator, and more. After years of development, OpenEmu, the frontend to rule them all, is finally out in an official capacity. Combining Apple-like skeuomorphic design and polish with iTunes-style ROM organisation, support for a plethora of gamepads, and a plugin system that integrates individual emulator engines as “cores”, OpenEmu mostly (it has its flaws, I’d argue) lives up to expectations as the emulator for the rest of us. The official release (available here) comes in two flavours: a 1.0 build with around a dozen 8-bit and 16-bit consoles supported, and an experimental build that adds a bunch more systems and cores (including PSP, Saturn, and N64) that aren’t quite stable enough for the prime time. Congrats to Mucx and company on the overwhelmingly positive reception it’s had so far. Nintendo 64 emulator Sixtyforce has been updated to version 0.9.8. This release brings Retina support, PAL video timing, a new full screen mode, loads of bug fixes, and “several” major optimisations. Download it from the official Sixtyforce website, and remember to register to encourage Gerrit to take more time out of his acting career to work on it. After yet another lengthy delay, Sega Saturn emulator Yabause is back with a big release obscured by an incremental version number. 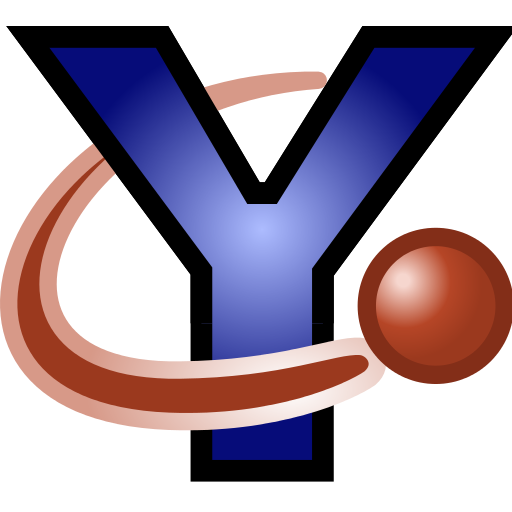 Yabause 0.9.13 adds support for mdf/mds dumps, CD+G, and the Saturn mouse and 3D control pad. It also improves the user interface and emulation, gets Netlink up and running, adds SH2 debugging features, and fixes CD audio emulation. The devs are actively recruiting translators and technical writers to help out, too. Learn about all this, and more, at the Yabause website. Continue reading for Mac floppy emulator hardware and more updates, including new PPSSPP, Sweet16, Mednafen, Mini vMac, and more. PlayStation Portable emulator PPSSPP turned one this week, and to celebrate the developers released version 0.9.5. This adds post-processing shaders and fixes loads of bugs and emulation issues. Head over to the PPSSPP news page for more details, and download an unofficial Mac binary here (requires SDL). Open-source virtualisation tool VirtualBox got both a major and a minor update in October. Version 4.3.0 added USB touch device emulation, SCSI CD-ROM emulation, and loads of other things, while 4.3.2 fixed bugs in the virtual machine, GUI, and more. See the changelog for more details. Sappharad was on the forums recently updating us on the progress of his Mac port of multi-system tool-assisted-speedruns-focused emulator Bizhawk. The latest build is 1.5.2, with recent additions including TI-83 support and loads of bug fixes. There’s still no native user interface, but the main Bizhawk team is refactoring the code to make it easier for someone to do this (if anyone’s up for the task). See the MacScene forum thread here, grab the download here, or check out the Bizhawk Google Code page for more details. ScummVM celebrated its 12th birthday in style with a super cool visualisation (embedded below) of the history of its codebase. Even if you don’t understand the slightest thing about coding and classes, this will give you a great feel for the scale of the project and the 58,000+ commits made by hundreds of coders. If you’re looking for a more narrative-based history, head over to Ars Technica for my big feature on the project from last year. Continue reading for more updates, including OS X PPC guest support in QEMU and new versions of RPCEmu, zxsp, CocoaMSX, Mednafen, and more. The two big guns in Windows or Linux on Mac virtualisation released their yearly upgrades in the previous month. Parallels Desktop 9 includes support for Thunderbolt and FireWire devices, OS X’s PowerNap feature, the Mountain Lion Dictionary gesture, Windows 8.1, and more, all while boasting 40% better disk performance, 25% faster shutdowns, 20% faster suspending, and 3D graphics that’s 15% faster than in Parallels 8. You can buy/trial it and learn more at Parallels’ Desktop product site. VMware Fusion 6, meanwhile, adds Dictation in Windows; support for up to 16 vCPUs, 8TB disks, and 64GB of RAM; a new user interface; improved Boot Camp support; multiple display support (in OS X Mavericks); Windows 8.1 support; and the usual host of performance improvements and minor feature additions. You can check out all its new features, and try it out, by visiting the VMware Fusion product page. Nintendo Wii and Gamecube emulator Dolphin version 4.0 came out today. It’s the first stable release in nine months, bringing 2500 changes from Dolphin 3.5 — including a new look (and swanky new icon), beta support for the Wii official online multiplayer, Wii Balance Board and Gamecube Steering Wheel support, new audio emulation code, Fastmem support on OS X, an OpenGL video backend rewrite, and much more. You can get it from the Dolphin download page, while the announcement post is here. After a long period (three years) without an official release, Sony PlayStation emulator PCSX-Reloaded has been updated to version 1.9.93 beta. People who’ve been using SpeedofMac/ConsoleEmu’s unofficial builds won’t notice much of a difference, but it’s a huge improvement over 1.9.92. See the release notes here for details. Continue reading for additional updates, including new versions of Mednafen, Q-emuLator, zxsp, PPSSPP, and more.